This level has easy difficulty and you can complete with few moves as you already complete old hard levels. Firs try to break blockers that are in top using striped candy or any other trick so ingredients wont stuck on it. Then try to use special combos or play to bottom of the ingredients to take down as soon as possible. 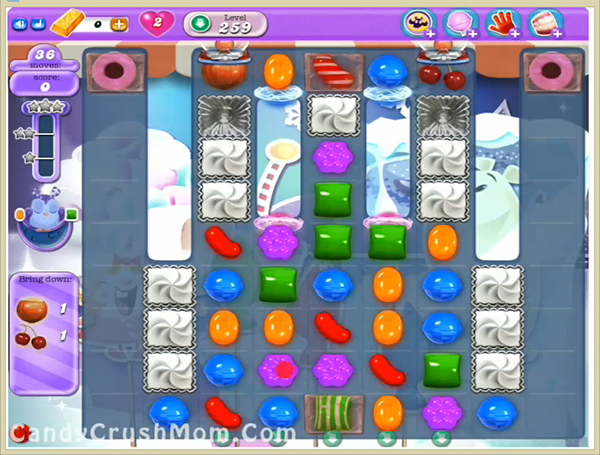 We completed this level with 68540 score using striped candy and other trick that we posted above and got three star score at the end of the level.